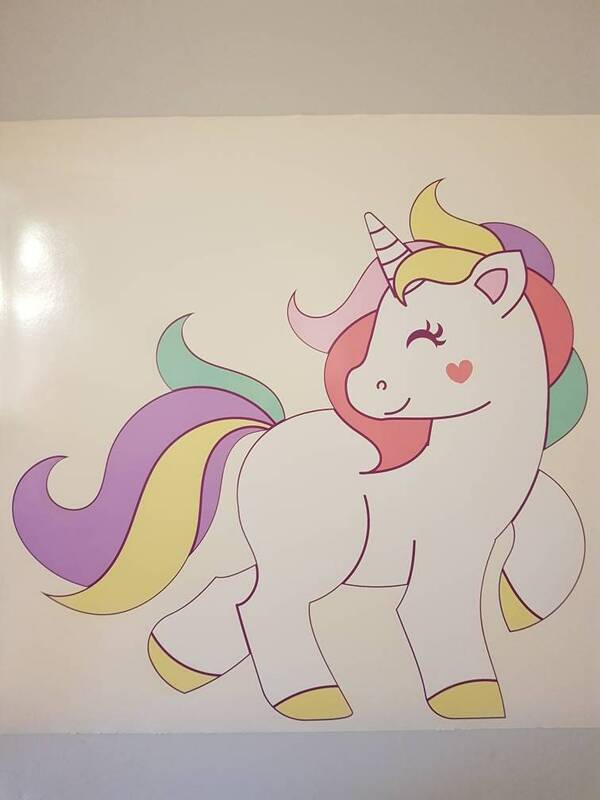 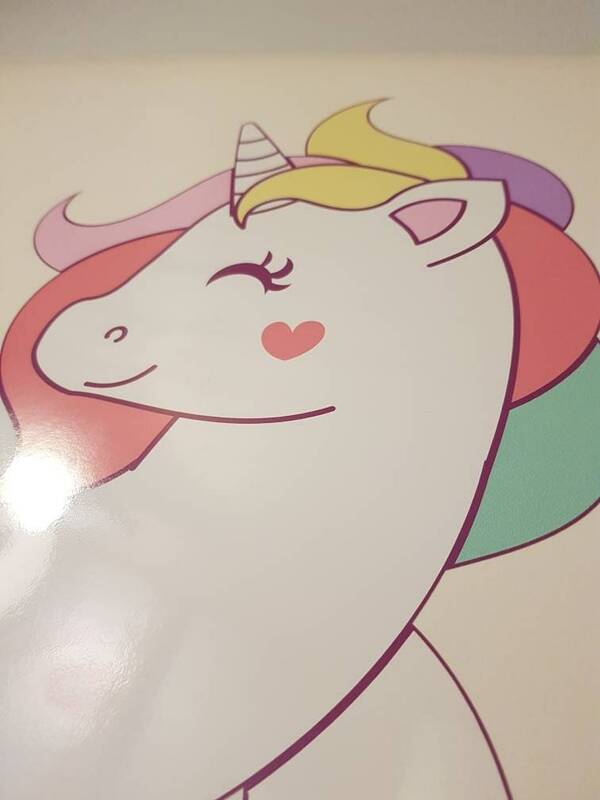 A beautiful colourful unicorn wall decal sticker. 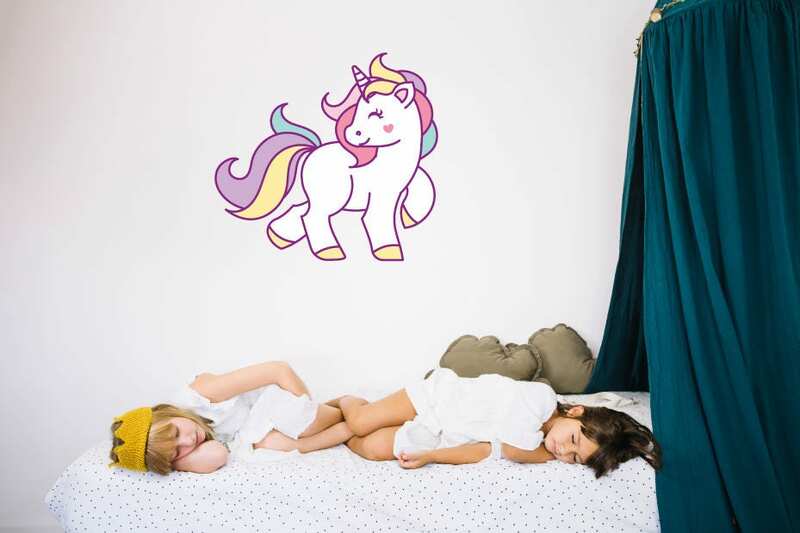 Perfect for nurseries and children's bedrooms. 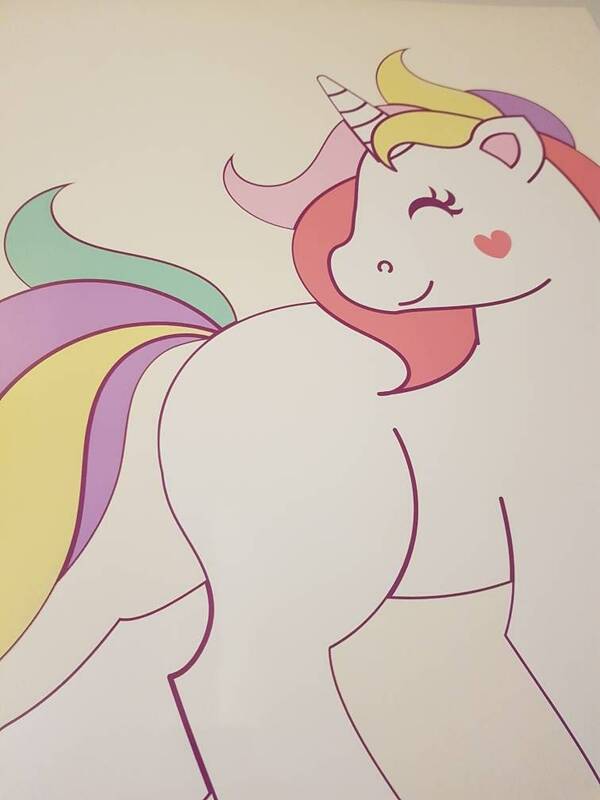 Size: 45cm width x 42cm height. 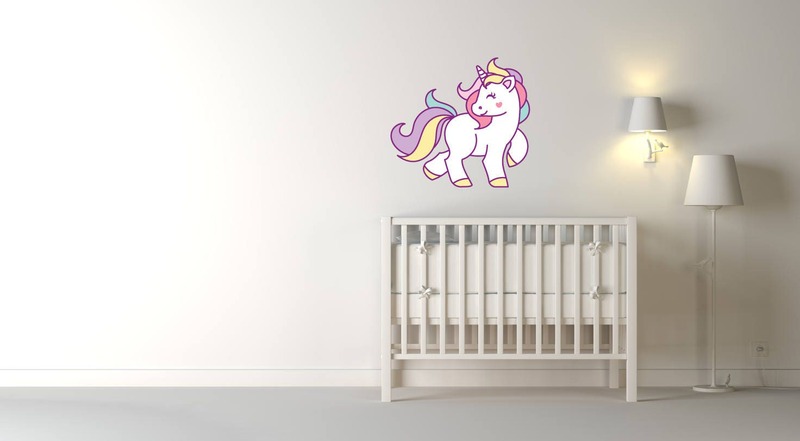 Please note wall art stickers colours may vary slightly depending on your monitor/device. 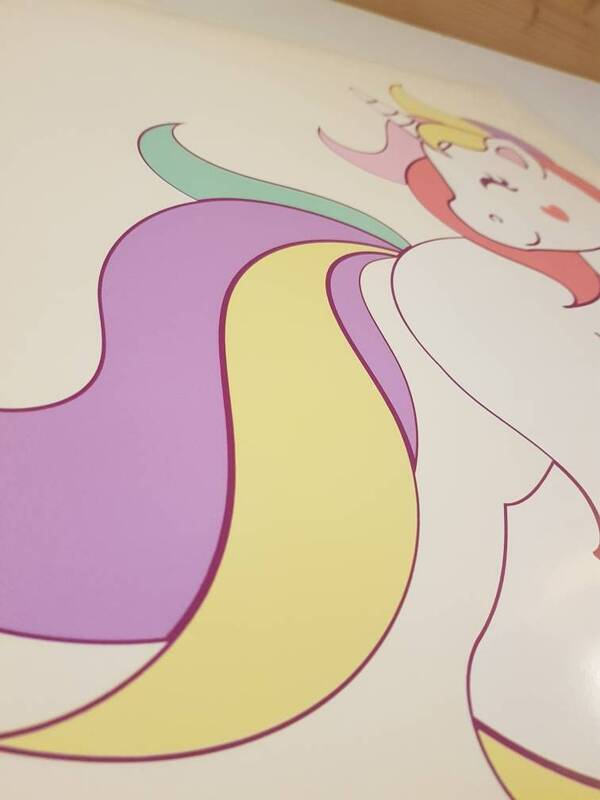 You will receive your order in a hardened envelope, to ensure protection of your wall stickers. 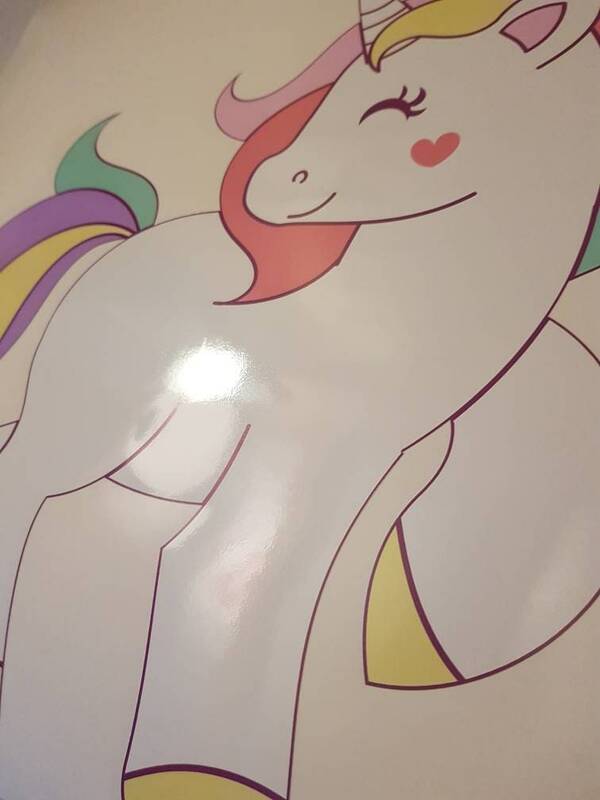 Image used is for display purposes only.